Francisco Pizarro was born in Trujillo, Spain, in 1475. Pizarro never learned to read or write. He was the oldest of four half-brothers. In 1502, Pizarro set sail for the New World, arriving on the island of Hispaniola just as an Indian uprising was taking place. This was Francisco's first experience with battle. He would spend the next seven years in the military in Hispaniola. Then, in 1509, a expedition led by Vasco Nunez de Balboa, Francisco discovered the Pacific Ocean. At this time Pizarro's main source of income was slavery and mining. Between 1514 and 1526, Francisco, his brothers, and the other conquistadors would enslave over 400,00 people in Panama, wiping out almost all of the indigenous population. In 1524, Francisco formed a conquest company called the Company of the Levant, in hopes of finding a fables land called “Biru.” On their second expedition, off the coast of Ecuador, they encountered an ocean going balsa-wood raft loaded with gold, silver, emeralds, and other jewels. Soon after the discovery, one of Pizarro's ships reached the northern most section of the Inca Empire and the city of Tumbez. In 1531, Pizarro returned to Peru with 168 soldiers, 100 slaves, weapons, and horses. He found a population that was decimated by small pox and civil war. Two Inca brothers, named Atahualpa and Huascar were fighting for control of the empire. Shortly after Atahualpa defeated Huascar, Pizarro and his men started their march across Peru towards the city of Cajamarca. Pizarro met Atahualpa and his men in the main plaza. Francisco had hidden his men and cannons in the buildings surrounding the town square. He ordered his men to attack. The Incas were paralyzed by fear. It was the first time that they had seen guns, cannons, and horses. Over 6,000 Inca soldiers died, and Atahualpa was captured. At once, Pizarro demanded that a ransom be paid. Atahualpa told Pizarro that he would fill a room with gold and silver if he was allowed to return to his fathers lands in Quito. Then, when the room was filled with riches, Pizarro assassinated Atahualpa. Next, he headed towards Cuzco in search of more riches. Along the route, Francisco Pizarro encountered a young Inca prince named Manco Inca. Pizarro installed him as his puppet ruler. Before long, Manco Inca realized that Francisco Pizarro and his brothers were liars. Manco surrounded the city of Cuzco with between 100,000 to 200,000 thousand Inca warriors. Day after day they attacked the Spaniards hoping that they could win their city back. At the same time, Inca General Quizo attacked Francisco Pizarro in his new port city that would become Lima. When Pizarro saw that the invading force had more than 25,000 warriors he believed that all was doomed. The fighting lasted for days before Francisco Pizarro emerged victorious. King Charles V was very happy with his share of the gold so he split the empire into two. He gave Diego de Almargo the southern half of the empire which contained very little of value, and Francisco Pizarro received Cuzco, and the northern half of the country. Almagro was angry because Pizarro and his brothers had all of the gold and silver. 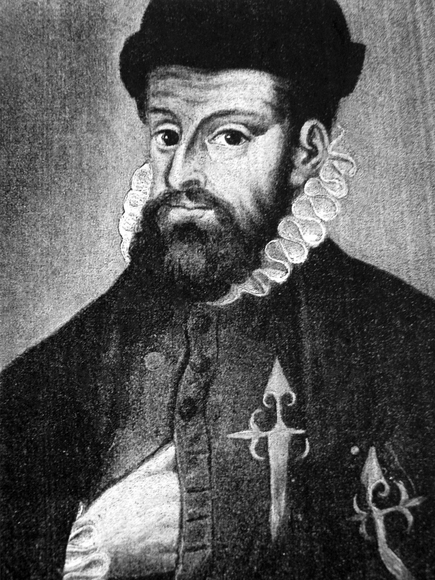 In June of 1541, a group of Almagro’s men, assassinated Francisco Pizarro in Lima, Peru.